Tucson, AZ, WPH Press, 10/9/17- The Race 4 Eight 7 kicked off in Atlanta, GA, with nine of the Race 4 Eight’s top 10 on hand in the season’s first stop. Killian Carroll entered Atlanta having won three of his last four Race starts and extended his streak to four wins in his last five starts in Atlanta, defeating a resurgent Mando Ortiz in the final. Daniel Cordova advanced to his second R48 semifinal, while Sean Lenning advanced to his first R48 semifinal since the R48 6 Houston in February. 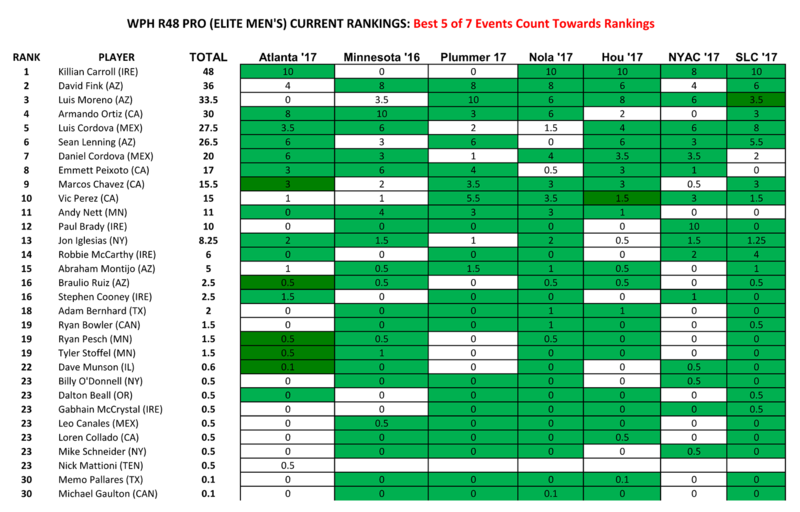 The top four R48 ranked pros remained unchanged after Atlanta, with Killian Carroll maintaining the top spot, followed by David Fink, Luis Moreno, and Mando Ortiz. 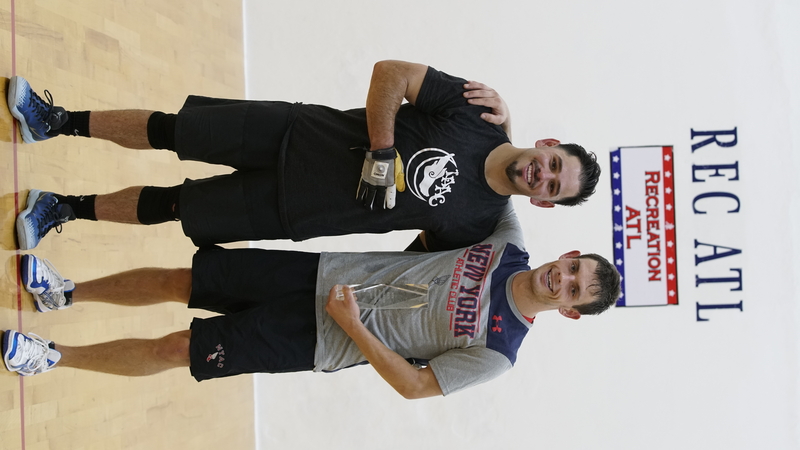 Luis Cordova seized the fifth spot on his own, breaking a previous tie for fifth with now sixth-ranked Sean Lenning, while Danos’ semifinal finish catapulted him to seventh alone, breaking a tie with now #8 Peixoto. 43-year old SR48 #1 Marcos Chavez climbed into the ninth spot with a first round victory against LAAC teammate Vic Perez, Jonathan Iglesias moved up to #13 by winning ninth in Atlanta, and Shorty Ruiz reached a career-high #16. See all of the rankings below.